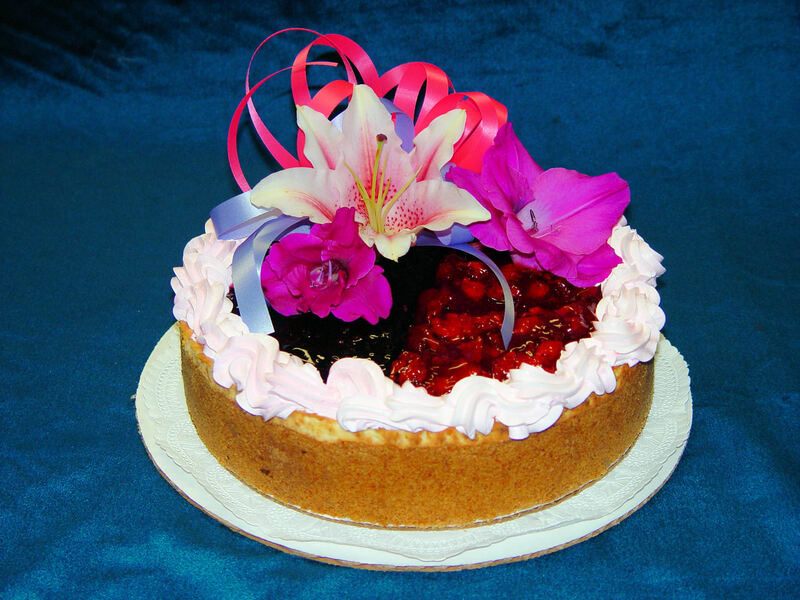 Imagine a 10" round cheesecake- 4 lbs. before adding any topping! Crunchy graham cracker or Oreo crust with melt-in-your mouth baked cheesecake and topped with a fabulous fruit, fudge or??? Then, we add beautiful fresh flowers and a lovely ribbon and your inscription, fit for a king...or queen! Serves 12-16 guests...They will love you for it!! if you have a particular flavor you don't see, run it by us, we'll work with you. use the word "cake or cheesecake" in your subject line.